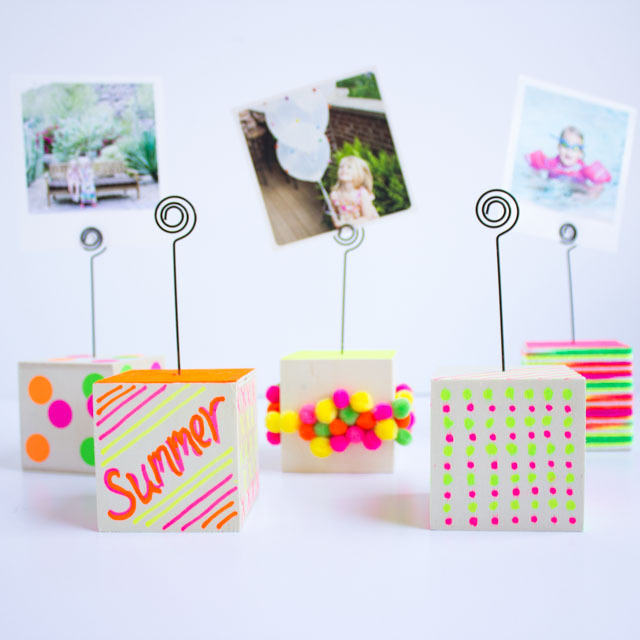 Get those fun summer snapshots off of your phone and on display with this fun DIY photo holder idea using wood photo blocks from Oriental Trading! 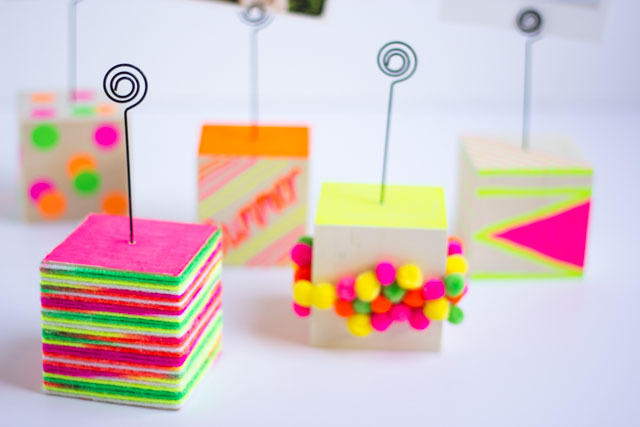 I rounded up some of my favorite craft supplies (pom-poms! yarn!) in bright summery colors to make these. 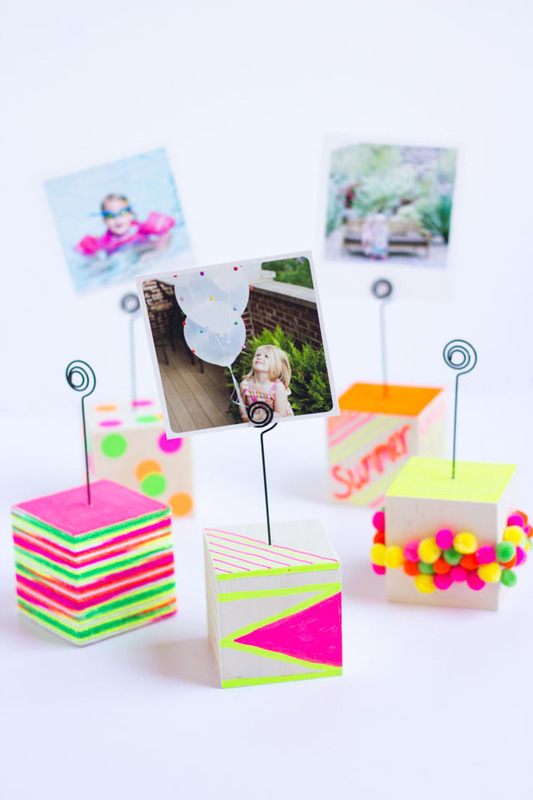 The wood photo blocks let you get as creative as you like, and come in a set of 12 so you can make a whole summer display for a shelf of mantel! 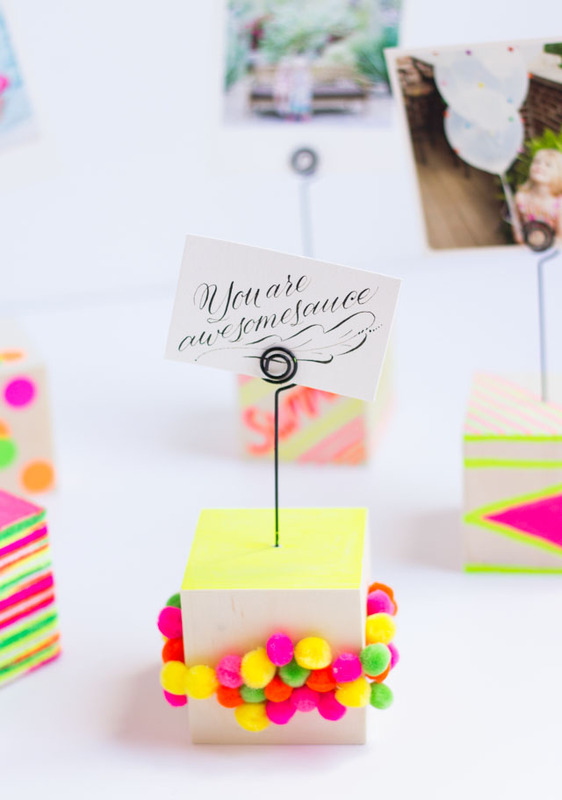 Head to Oriental Trading’s blog for a full list of supplies and step-by-step tutorial so you can make your own DIY photo holders!